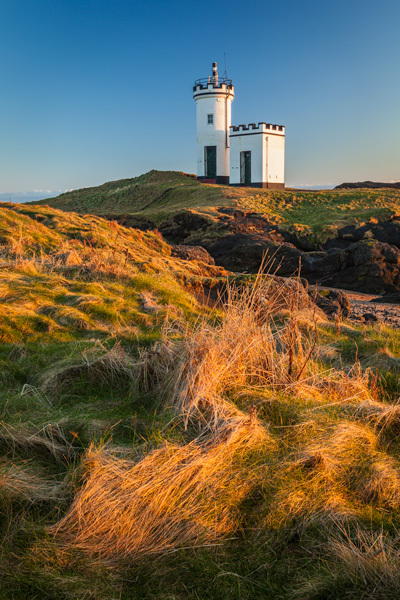 Elie lighthouse was built by the renowned David Stevenson in 1908. The top of the tower and outbuilding are of a crenulated design more akin to castle than a lighthouse. Photo © copyright by Graham Chalmers.